The 2013 Chevrolet Traverse is a comfortable and competent alternative to traditional truck-based SUVs, offering a roomy interior, good towing capacity and a more fuel-efficient engine. The Traverse can seat up to eight passengers and, depending on trim, ranges from simple to near-luxury in its accommodations. Rough at first problem but then it worked well. Just had to start wrong. I had problems 6 months after buying vehicle. It needed a new engine due to a piece of metal coming loose in engine. I had a lot of problems with dealer at that time. They were not keeping me informed as to the status of the repair. They only gave me a rental for 5 days yet I was without a vehicle for 7 weeks. After that issue, I cannot complain about the car. It has had its normal wear and tear. I know have 145,000 miles. Would like to keep it for a couple more years. Only other thing that I do not like is that you cannot change headlights and some other lights yourself. You have to return to dealer and it gets expensive. My Chevy traverse is very comfortable. It is roomy enough for 7 passengers. We have taken it on many trips and had more than enough room when packed up for my family of 4 for a week. It drives like a car. It is a smooth ride. It handles the road with ease. We have the midline model. It is well equipped for not being top of the line. Over the five years that I have owned my traverse, I have had very few problems. One of my temperature sensors failed and had to be replaced. Also, my air bag sensor had to be replaced. Besides those two problems, which were covered by the warranty, I have had no problems. The 2013 Chevy traverse-go for it. 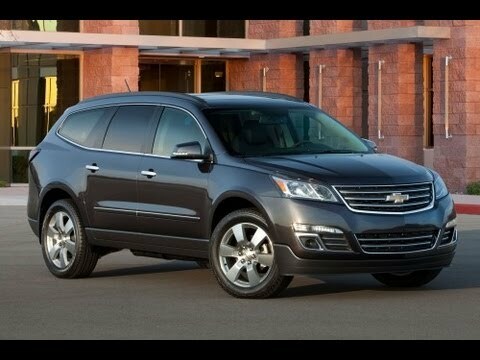 I love the traverse but there are some changes I would make. The 3rd row seating is cramped and needs another 6 inches or so of space. The headrest for the captain seats are terrible and create more neck soreness than necessary. The seats also should be more comfortable. Performance wise the traverse is 4 out 5. It can be jerky if you do not ease into a faster speed. Reliability is also a 4 out 5. It very reliable but with age the traverse starts to get more sluggish. Overall I would recommend the traverse.